- High temp NiCrFe based alloy is used for valve and 347SS valve housing will offer longer product life compared to competing designs. - High temperature silicone Nomex reinforced actuator diaphragm. - 17-7 PH Stainless Steel actuator spring gives consistent pressure at high temperature, resist "relaxing" at temperature to 900F (483C). - Nitronic 60 Stainless Steel is used for the valve seat, and valve bushing. - Mating weld flanges are 304L. - Color anodized aluminum actuator (Black, Red, Blue, Purple). 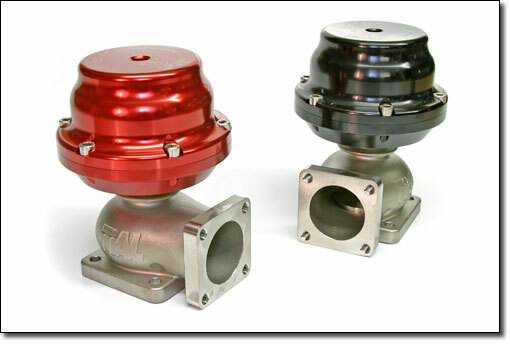 - Wastegates shipped with air fittings and stainless hardware.